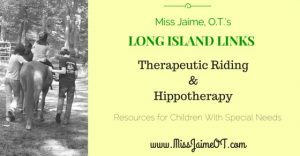 Green crafts Archives - Miss Jaime O.T. Welcome to Alphabet Sensory Activities, hosted by The Jenny Evolution along with their partner site The Sensory Spectrum! 26 amazing bloggers have gotten together to share a sensory experience based on a letter of the alphabet every day this month. This post contains affiliate links. As a contributor to the Alphabet Sensory Activities Series, I am responsible for the letter Y. For me, the first thing I think of is “YUCKY!” I love to do sensory activities, especially recipes, with my class push-ins. There are so many functional skills to work on; no matter the age of level of your students. Stirring, Pouring, Kneading, and Squeezing are just a few ways to work on hand strength and bilateral coordination. Measuring, Sequencing, Calculating, and Adding are just a few ways to add Math to the Mix. Dirt is Yucky! Therefore kids love it! This is a great recipe that is also a “green” activity. Used coffee grinds are the main ingredient, and you can switch up the recipe to change the consistency. Mix all the ingredients. Add more flour if it’s too wet. 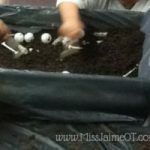 I’ve used this recipe in October to make a Halloween “coffin” filled with “dirt”, bones, fingers, and eyeballs. I’ve also used it in the spring as science lessons to talk about how flowers grow and how bugs live. And worse comes to worse, just make “mud pies” because it’s fun! Dirt Doh is so versatile! 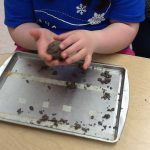 Using “dirt doh” as a spring sensory activity while learning about how flowers grow and how bugs live. Using “Dirt Doh” to fill an under the bed storage container to make a “coffin” in October to dig for eyeballs, bones, and other Yucky stuff. Using “dirt doh” to work on hand strength and bilateral coordination just because its fun! 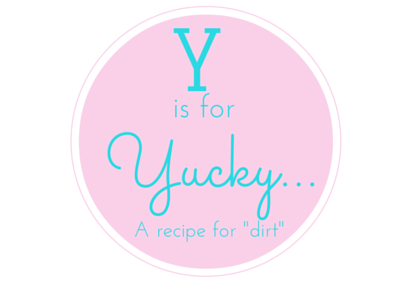 Dirt is “yucky” and kids love “Yucky!!! 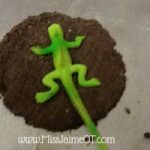 If you like Dirt Doh, please make sure to check out the rest of the Alphabet Sensory Activity Series on the Jenny Evolution.com. 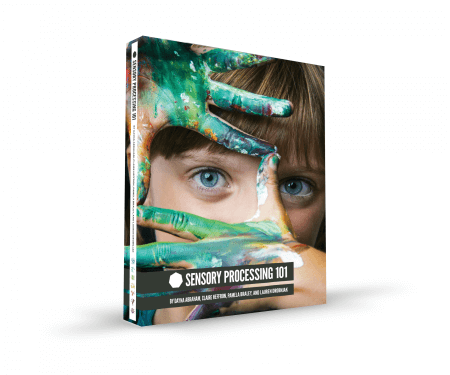 Sensory Processing 101 is a vital resource for parents, teachers, and therapists who work with children with Sensory Processing difficulties.